Mark Knopfler » Music lossless (flac, ape, wav). Music archive LOSSLESS. Music lossless download. 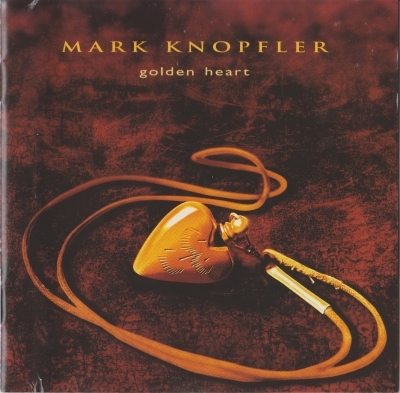 Golden Heart is the debut solo studio album by British singer-songwriter and guitarist Mark Knopfler, released on 26 March 1996 by Vertigo Records internationally and Warner Bros. Records in the United States. Following a successful career leading the British rock band Dire Straits and composing a string of critically acclaimed film soundtrack albums, Knopfler produced his first solo album, drawing upon the various musical endeavors in which he has engaged since emerging as a major recording artist in 1978. The album reached the top ten position on album charts in Austria, Belgium, Finland, Italy, the Netherlands, Norway, Sweden, Switzerland, and the United Kingdom. The album peaked at 105 on the Billboard 200 in the United States. Real Live Roadrunning is a collaborative live album by British singer-songwriter and guitarist Mark Knopfler and American singer-songwriter Emmylou Harris, released on 14 November 2006 by Mercury Records and Universal Music internationally, and by Warner Bros. Records in the United States. The album was recorded live on 28 June 2006 at the Gibson Amphitheatre in Los Angeles, at the end of their summer tour in support of their critically acclaimed album, All the Roadrunning. Real Live Roadrunning was released as a combined CD/DVD. Collaborative album by American guitarist Chet Atkins and British singer-songwriter and guitarist Mark Knopfler, released on October 9, 1990 by Columbia Records. "Poor Boy Blues" was released as a single. At the 33rd Annual Grammy Awards in 1991, the track "Poor Boy Blues" won Best Country Vocal Collaboration, while the track "So Soft Your Goodbye" won Best Country Instrumental Performance. Wag the Dog is a soundtrack album by British singer-songwriter and guitarist Mark Knopfler, released on 13 January 1998 The album contains music composed for the 1997 film Wag the Dog, directed by Barry Levinson. The film featured songs created for the fictitious campaign waged by the protagonists, including "Good Old Shoe", "The American Dream", and "The Men of the 303". These songs appear on the soundtrack album as instrumental tracks. Only the title track contains vocals. Soundtrack album by British singer-songwriter and guitarist Mark Knopfler, released on 12 November 1987 by Vertigo Records internationally, and by Warner Bros. Records in the United States. The album contains music composed for the 1987 film The Princess Bride, directed by Rob Reiner. The album features the song "Storybook Love", written and performed by Willy DeVille and arranged by Mark Knopfler. In 1988, the song received an Academy Award nomination for Best Original Song. Марк Нопфлер уже давно обитает в Соединенных Штатах, и нет ничего удивительного, что его альбомы звучат по-американски. Кстати, с выбором названия для его последнего на сегодняшний день диска все просто: "Shangri-La" - это студия звукозаписи в Малибу, словно бы специально для того и созданная, чтобы стареющие британские рокеры могли в промежутках между сессиями греть косточки на солнышке. Альбом получился, в общем-то, типичным для старины Марка: спокойный, задумчивый и меланхоличный. Задумчивые, моментально узнаваемые ноты солирующей гитары. Создающий "атмосферу" слайд гавайки Ричарда Беннетта (Richard Bennett). Задушевно-благородный орган Джима Кокса (Jim Cox) и прохладные синтезаторные рисунки Гая Флетчера (Guy Fletcher), коллеги из времен Dire Straits. Роль ритм-секции второстепенна, а в паре номеров баса и ударных нет вообще. Label: Vertigo. Made in Hong Kong. Screenplaying is a compilation album by British singer-songwriter and guitarist Mark Knopfler, released on 9 November 1993 by Vertigo Records internationally and Warner Bros. Records in the United States. The album contains previously released tracks from Knopfler's soundtrack albums Cal (1984), Last Exit to Brooklyn (1989), The Princess Bride (1987), and Local Hero (1983). The second solo studio album by British singer-songwriter and guitarist Mark Knopfler, released on 26 September 2000 by Vertigo Records internationally, and by Warner Bros. Records in the United States. The album contains featured vocal performances by James Taylor and Van Morrison.